In which it occurs to us we’ve maybe made a massive mistake! Yesterday I mentioned that we’d selected 3 of the images Robert had drawn to take forwards, but while I spent time singing the praises of him just being able to sketch something, then photograph it and send it through, the quality is way lower than needed to take things further. So today, while I’m waiting to receive those images, I decided to take a photograph of one of Catherine’s Schnauzers that inspired our company name, and run it through various filters and perform bits of photoshop processing to see what we could come up with. 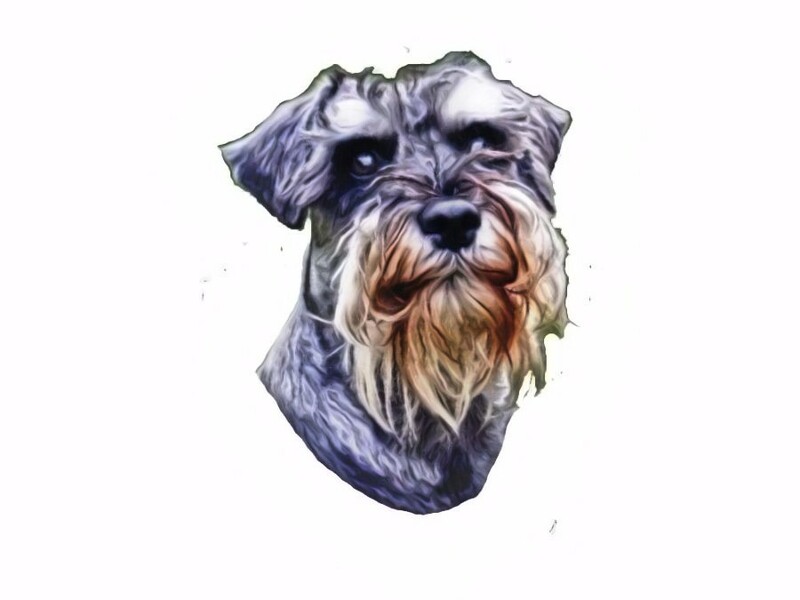 So I took the picture of the dog, and separated it from the background, creating a nice little picture of the dogs head isolated from any clutter. Then I ran in through processing to turn it into a pseudo version of a pencil sketch. Although there’s some clutter left around it (guess I didn’t do quite as good a job of clearing away the background as I thought), it’s a very nice image of the dog looking dignified. But I really didn’t feel that was what I was looking for. So I ran it through filters to turn the original image into a cartoon like version of itself. Which I thought looked very pretty indeed. And finally, through filters to turn it into a painting. Which I don’t think looks as pretty as the cartoon one, but still liked a whole load. Now, being unsure of which I liked best, I decided to merge the cartoon one, and the painting one, allowing the colours of the painting to show through, while the definition of the cartoon one is kept. Now, this I liked a whole load. But it brought to our attention that maybe we’d made a massive mistake. While the above image is quite appealing, it looks like the logo for a dog grooming company. 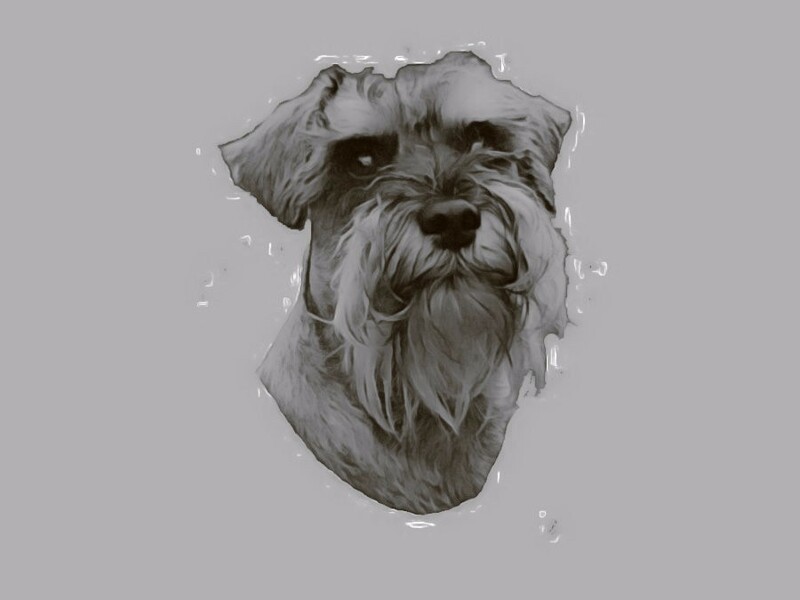 And looking through the logo’s for dog grooming companies, whether we decided to make the logo a cartoon, a photo-realistic image, or whatever, it would always stand the chance of looking like we were a dog grooming company. So how do we move forwards . . . . hmmm . . . . something we need to ponder over for the night! More tomorrow, hopefully with a solution. 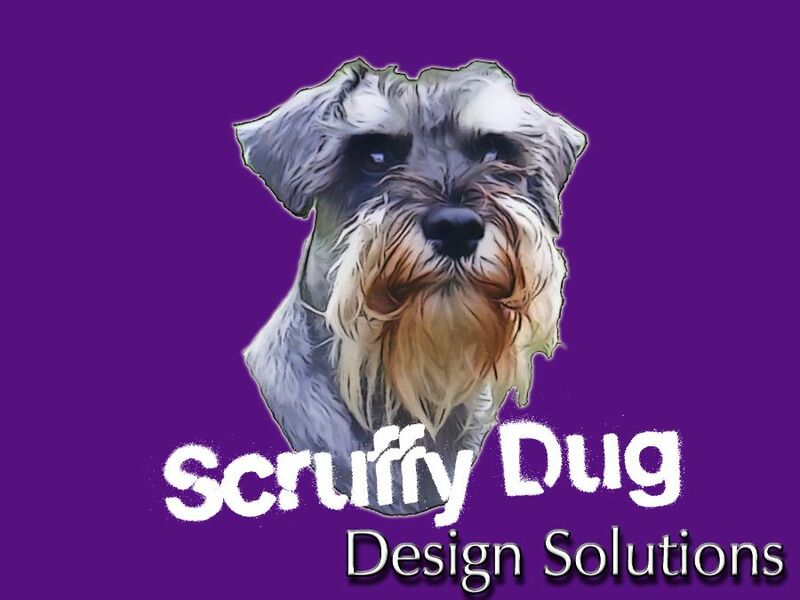 Previous PostPrevious 6 New Images for the Scruffy Dug Logo, number 5 will shock you! Next PostNext So what do we do now . . . we go a little bit crazy.